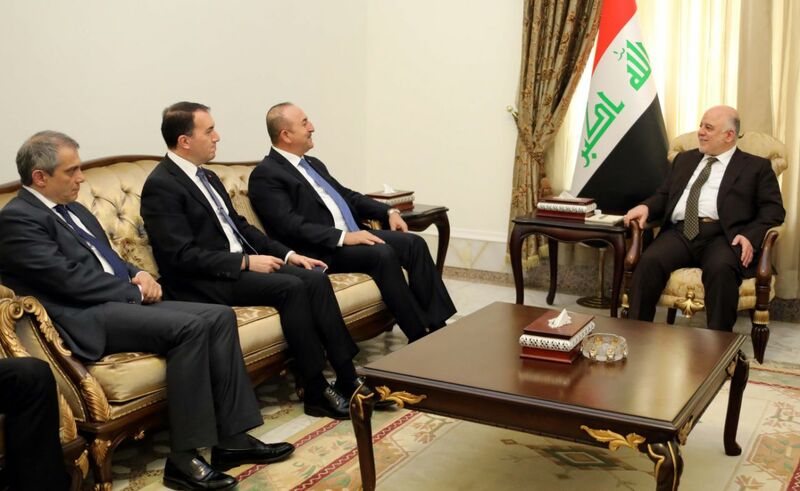 His Excellency Prime Minister Dr. Haider Al-Abadi has received, in his office today on Sunday, Turkish Foreign Minister Mevlüt Çavuşoğlu and his accompanying delegation. During the meeting, they have discussed enhancing bilateral cooperation between the two countries, developing economic, trade relations in the fields of oil, transport and combating terrorism, in addition to developments in the region. Mr. Çavuşoğlu has confirmed that Turkey's support the unity, the stability of Iraq and the participation of Turkish companies in the projects of reconstruction of Iraq, inviting the Prime Minister to visit Turkey.